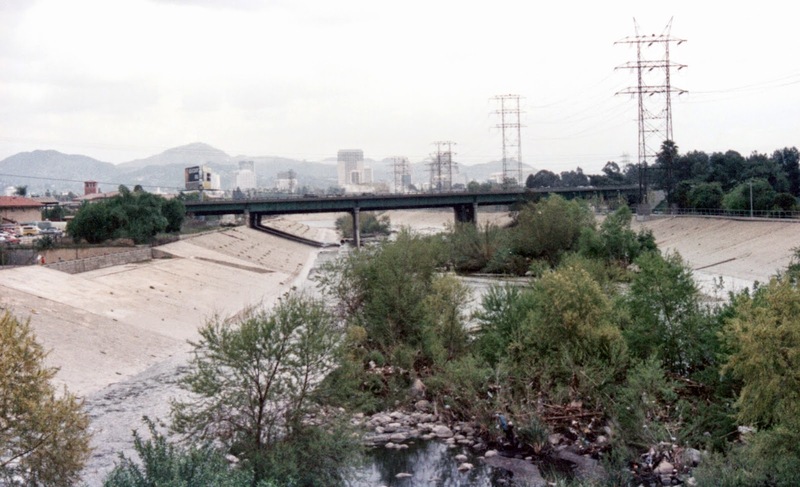 Standing on the deck of the Riverside Drive Bridge and looking east I photographed the I-5 (Golden State) Freeway Bridges (53 1075L/R) across the Los Angeles River. These are two 5-span steel stringer bridges on pier walls that were built in 1957. The bridges are taller on the south side of the river in order to climb over parts of the SR-134 (Ventura) Freeway and onto the Hollywood Hills. Los Angeles County, California Bridges: I-5 Bridges across the Los Angeles River by Mark Yashinsky is licensed under a Creative Commons Attribution-NonCommercial-NoDerivatives 4.0 International License.